Sunday Quote!- Heresy as the Historical Loser? | J.W. Wartick -"Always Have a Reason"
Sunday Quote!- Heresy as the Historical Loser? Heresy as the Historical Loser? The rest of the book is dedicated to the history of heresy and how it interacted with orthodoxy. What do you think, though, of this notion that the distinction between heresy and orthodoxy is arbitrary? Could it be that orthodoxy is merely a historical accident? McGrath, of course, argues that it is not. 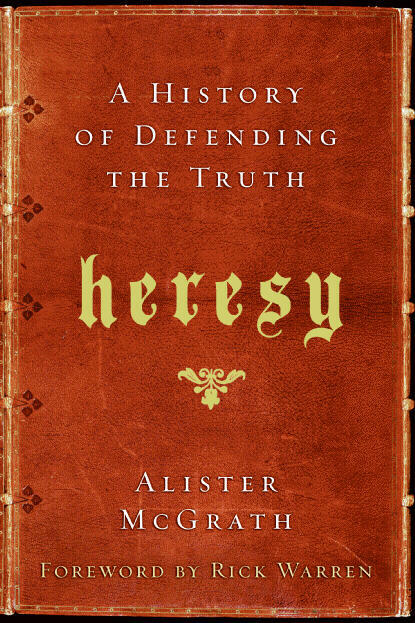 Book Review: “Heresy: A History of Defending the Truth” by Alister McGrath– Check out my review of McGrath’s book. Alister McGrath, Heresy: A History of Defending the Truth (New York: HarperOne, 2009). « Question of the Week: Great Movies of 2014? While I have not read this book, it sounds like a book worth reading. As for the question, I believe heresy would be that which does not line up with the truth. Now, if mankind is the measure of truth, then the assertion that heresy is merely the historical “loser” in an argument makes perfect sense. But, if God exists, and is, by definition of his existence, omniscient, then heresy is anything which does not line up with what God knows to be true. Of course, if I were a humanist (which I am not), I would judge this definition of heresy to be, well, heresy.